Forza Motorsport 7 still has features that didn’t make the deadline. Forzathon events, multiplayer Leagues, and the Auction House and Marketplace are currently listed as “Coming Soon”. 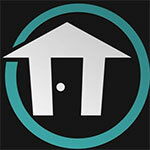 However, what is already packed in is plenty of meat to digest, and no feature feels tacked on or a novelty. 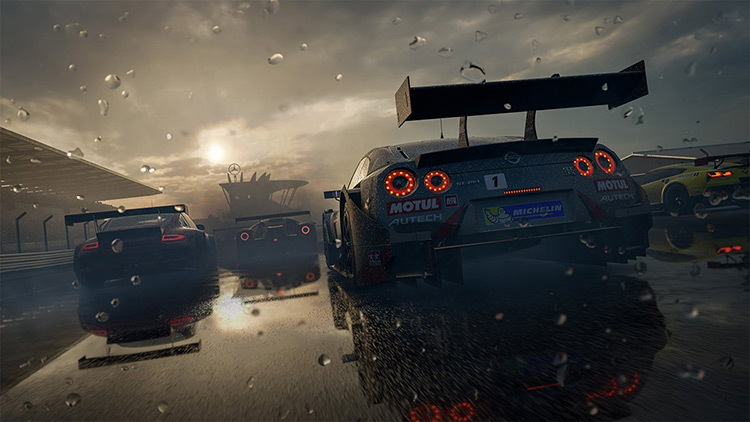 With a long and flexible solo campaign, quick multiplayer setups (including couch co-op), fun challenges, and lots ways to tweak your ride, wardrobe, and income, Turn 10 Studios continues to perfect their skill with another entry in one of the best racing series in the industry. Objectively, Forza Motorsport 7 is an excellent game. It has the looks, the sounds, and the feel of a champion. In my opinion, it does not look as good as Forza Horizon 3 in many areas, but I can overlook that due to how it is structured and how well it performs. I don’t believe it is as good a game as Forza Horizon 3, despite having much better tracks, but would not hesitate to recommend the console version to any driving game fan. 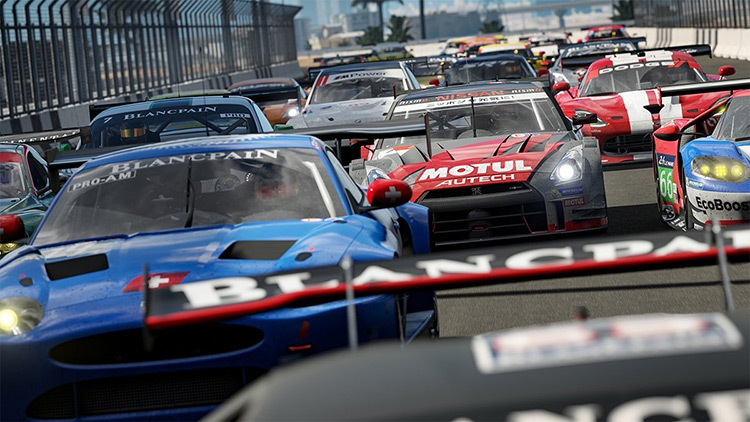 Even with an imperfect roster and a selection of modes that doesn't compare to the comprehensiveness of Forza 6 at launch, Forza Motorsport 7 is still a feature-rich and competition-diverse bundle of racing events that keep you coming back for more. The ability to control the weather to create rich, painterly cloudy backdrops goes a long way in making up for the lack of zombie modes and the Toyota MR2. With some long-ish load times and still-underwhelming visual damage in major crashes, one day it will be bettered, though it’s unlikely we’ll see that happen in this console generation. There’s no other modern racing this good at what it does. Forza Motorsport 7 is the best serious racer on current-gen, and you need to play it. There's been a lot of talk about how Forza 7 looks lovely, and how it will look even lovelier on the Xbox One X. For sure, it's genuinely a marvel, the way the sun shines, how clouds dramatically change the sky's hue. But this is also a feat of technology, of creating a racing simulation that offers a genuine palette of very different cars and driving styles across a broad selection of tracks. Forza 7 is a very fine racing game. Microsoft pitched Forza Motorsport 7 as the ultimate automotive playset, and it’s hard to argue otherwise. With enough cars to fill a dozen museums and the most generous selection of tracks to date in the series, the amount of driving, experimenting, and racing here is absolutely mammoth. Accessible as always for beginners but crammed with content targeted at lifelong car junkies, Forza Motorsport 7 is Turn 10’s finest love letter to speed and style this generation, no matter what language you speak. Forza Motorsport 7 is the work of a studio whose publisher wants to broaden its audience by being even more "casual". However, the game is at times as rewarding as it is challenging, and collecting cars, tuning and taking them online to challenge some friends on Laguna Seca is something we'll never get bored of. Loot boxes make Forza 7 feel exploitative. This entry in the normally top-flight franchise is also hindered by audio issues and – on Xbox One – super long load times. Müsste ich neben den teils langen Ladezeiten etwas an Forza Motorsport 7 kritisieren, dann wären es die überladenen Menüs. Aber die ganzen Inhalte müssen irgendwo untergebracht werden. Bei über 700 Fahrzeugen und 32 Strecken ist für jeden was dabei. Turn 10 schafft es in Forza 7 Profis und langjährige Fans zu fordern, ohne Neueinsteiger auf der Strecke zu lassen. Im Gegenteil. Und der darunter liegende Kuchen ist eines der besten Rennspiele seiner Art. 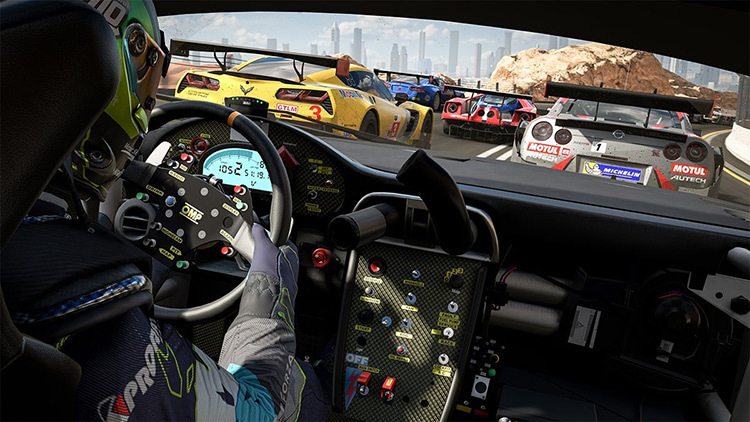 Klar, wer eine waschechte Simulation erleben will, wird auf Titel wie Project Cars 2 ausweichen müssen, das in diesem Jahr ein starkes Programm auffährt. Und in puncto Extravaganz und Kurzweil bietet der Open-World-Spaß Forza Horizon 3 mehr. 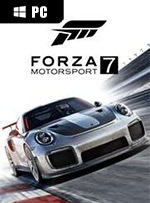 Aber als Bindeglied zwischen Simulation, Amateur-Fahrspaß, Grafikfest und Rennvielfalt ist Forza Motorsport 7 schlicht ein Koloss von einem Racing Game. Allein die 700 Autos sind eine neue Referenz. Forza Motorsport 7 est un très, très bon jeu de course. Sans surprise, il offre à nouveau une jouabilité excellente, favorisant un compromis arcade/simu (paramétrable via des aides) pourvoyeur de sensations de pilotage absolument géniales. Il le faisait très bien dans les précédents épisodes, et il le fait encore mieux cette fois, notamment grâce à des modèles physiques améliorés et une caméra plus dynamique qu'avant. C’est un régal d’être bercé par toutes ces nuances sonores propres au sport automobile (piloter sous la pluie est jouissif), et pour mieux les apprécier, le cockpit est clairement l’endroit idéal. Même en se baladant dans les menus, les ingés son envoient de la musique avec un effet de reverb quand on se trouve dans le garage ou le paddock. Du petit lait pour les oreilles. Forza Motorsport 7 è la summa di tutta l'esperienza accumulata nel corso degli anni sia sul piano tecnico, ma soprattutto contenutistico. 700 auto sono talmente tante che sarà quasi impossibile averle tutte, ma il sistema di progressione ci ha permesso di metterne ala prova molte di più del previsto, facendoci sperimentare una varietà invidiabile. La versione PC di Forza Motorsport 7 vanta tutti i sensazionali pregi che abbiamo già avuto modo di apprezzare su Xbox One: un modello di guida solido e convincente, una carriera ricca e variegata, un parco auto enorme e un ricco set di tracciati, resi più interessanti ed evocativi dal meteo variabile e dal supporto all'HDR. Una decisa marcia in più è però rappresentata dal comparto tecnico, di assoluta eccellenza: se possedete una configurazione adeguata, giocare a 4K reali e 60 frame al secondo, utilizzando le regolazioni dinamiche o magari impostando tutti gli effetti al massimo, vi regalerà un'esperienza di guida assolutamente spettacolare, che stacca di netto la pur ottima grafica dell'edizione console. In attesa di vedere cosa sarà capace di fare Xbox One X, fra un mese esatto. Oprócz tego kontrastowego zestawienia głównych wad i zalet są oczywiście i inne kwestie, niezależne od platformy, na jakiej gramy. Tutaj warto nadmienić, że Forza 7 wygląda po prostu fenomenalnie zarówno na Xboksie, jak i PC, i chyba podoba mi się nawet odrobinę bardziej od zachwalanego przeze mnie niedawno Projectu CARS 2. O wiele lepiej prezentuje się efekt mgły i ograniczonej widoczności w deszczu, obiekty na torze posiadają zdecydowanie więcej szczegółów, a dzięki obecności Forzavisty kokpity są dopieszczone w każdym detalu. 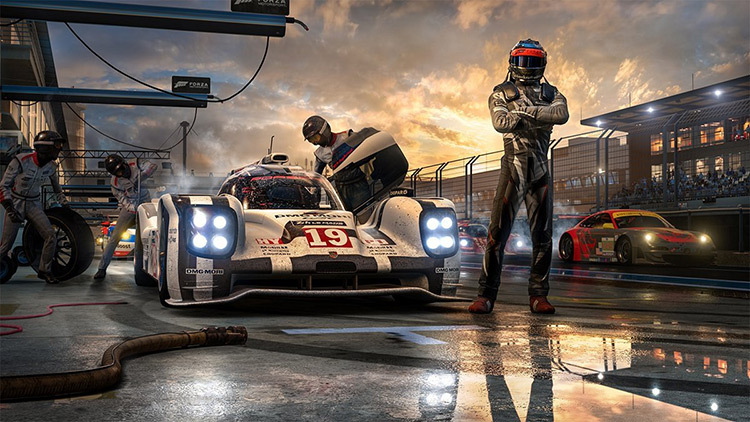 Project CARS 2 zdecydowanie wygrywa za to w kwestii dźwięku. Silniki w Forzy 7 brzmią nieźle, ale nie tak szczegółowo i zróżnicowanie, jak u konkurenta.